Protective styling. You know what it is. Wearing your hair in styles that keep your ends tucked away. Let’s examine the word protective. In the case of individual strands of hair, I submit to you that curly hair is inherently more protective than straight hair. Curly hair is very unique. One strand of hair rarely acts as a lone ranger. Individual strands of hair wrap around each other – in a cocoon like fashion, protecting each other. 1) Straightening the hair temporarily stretches and breaks down the disulphide bonds of the hair strand, affecting your hair’s keratin positioning. Basically, when curly hair is straightened it’s in an unnatural state. 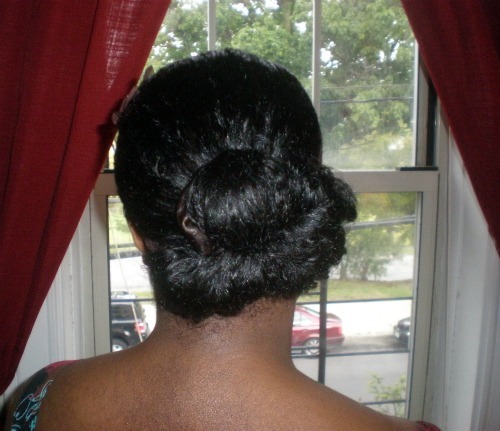 2) The individual hairs of straight hair are flowing freely without the protection of it’s sister hairs. I just love how simple yet complex the composition of our hair is. Following the Tightly Curly method coined by Teri LaFlesh, I’ve discovered that smoothing my individual curls in sections, allows them to clump together. The clumping process is done by first detangling your hair with your fingers or a Denman brush. Then, by running your fingers down the groups of hair that have clumped together naturally. Learning my hair’s natural curl pattern has taken some time. The most important thing to know is that no two heads of hair are alike. You have to learn your own head of hair and allow it’s individual strands to just do what they do. Protect each other. 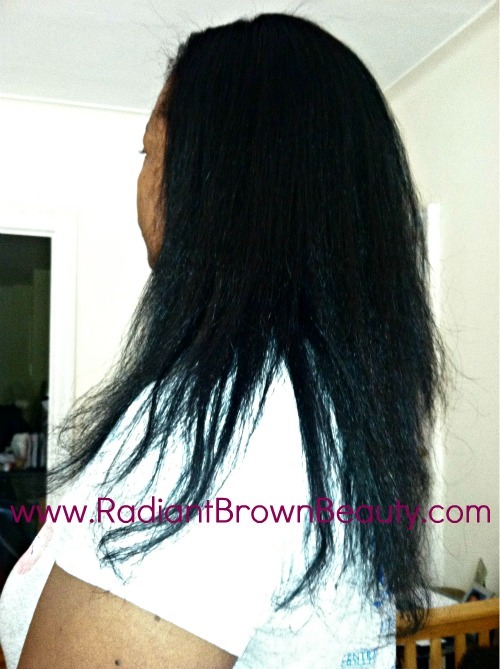 Should you choose to straighten your natural hair (a personal choice), just be aware that damage may occur. This is why I only straighten my hair once or twice a year – and without the use of heat. Chime in! Do you find your curly hair protects itself more than when it’s straight? Straight hair is definitely protective, I don’t have to comb it and wash day is a breeze with no detangling beforehand, Thanks and I’m glad to read you address that here. I never straightened my hair as a natural, but I can definitely agree that leaving my hair alone as much as possible lead to less breakage. Even simple combing was a process. The Tightly Curly method would never have worked for me.